Apple has added a new entry to its Machine Learning Journal with in-depth technical details about how it uses differential privacy to gather anonymous usage insights from devices like iPhones, iPads, and Macs. At a high level, differential privacy allows Apple to crowdsource data from a large number of users without compromising the privacy of any individual. There are two types of differential privacy: central and local. Apple has chosen to use the local setting, which means that data is randomized before being sent from devices, so that its servers never see or receive raw data from users. When users set up their device, Apple explicitly asks users if they wish to provide usage information on an opt-in basis. If a user declines, no data is collected by Apple unless they choose to opt in at a later time. The toggle for sending usage information can be found under Settings > Privacy > Analytics on iOS 10 and later and under System Preferences > Security & Privacy > Privacy > Analytics on macOS Sierra and later. Apple says the data it collects helps to, for example, improve the QuickType keyboard's predictive words and emoji suggestions, and to help identify problematic websites that use excessive power or too much memory in Safari. • The data is immediately privatized via local differential privacy. • The data is temporarily stored on-device using a technology called Data Protection, which is explained on page 11 of Apple's iOS Security Guide. • After a delay, a random sample of the data is collected and sent to Apple's server. The data sent to Apple does not include device identifiers or timestamps of when the events in the usage information occurred. The communication between a device and Apple's server is encrypted using TLS. 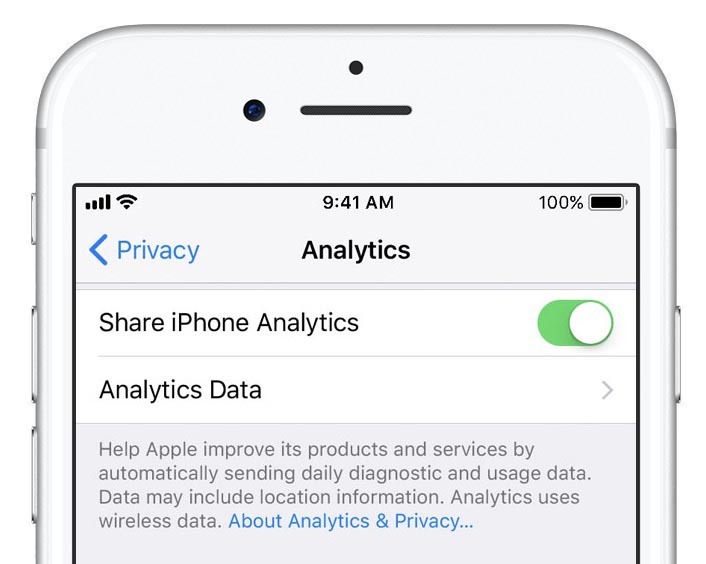 In iOS, information being shared with Apple for the categories of data that are protected using Differential Privacy is visible under Settings > Privacy > Analytics > Analytics Data, in entries that begin with "DifferentialPrivacy." In macOS, users can launch the Console app and view the information under the Differential Privacy category of System Reports. 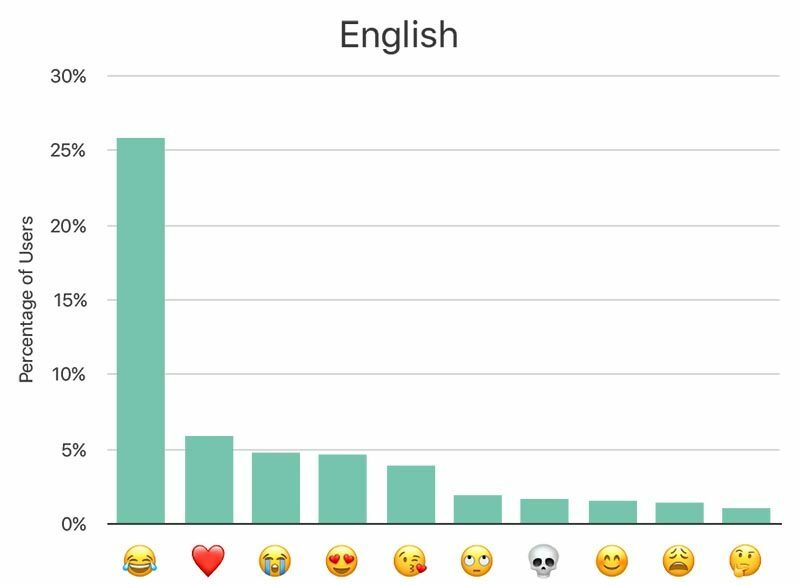 On a side note, the blog post reveals that "Face With Tears of Joy" is the most popular emoji, used by more than 25 percent of English-speaking users of Apple devices. We saw this chart before, but now it's labeled along the y-axis. For a detailed explanation of the mathematical algorithms that Apple is using, the Learning with Privacy at Scale entry in its Machine Learning Journal is a worthwhile read. I wish we could get to the root of why Apple felt they needed this article out there. Apple’s stance on privacy is one of the (many reasons) I like and continue to use Apple products. I think the privacy campaign is all apple has left in the tank. When things go to @**t, apple marketing pulls out the privacy card and plays it hard. I believe the answer is it helps to attract talent. Top researchers want to be published in their findings, so an atmosphere of secrecy would work against them here. Aww man, I was going for a High Sierra root privileges joke here. Evidence suggests, I have failed this forum. Google literally makes almost 90% of their revenue off data. Apple makes practically nothing off our data (they make money on hardware). Which company do you think is more likely to abuse your data for their own gain? Here’s a hint: it’s the company that was fined for intentionally writing code to exploit Safari to bypass do-not-track in order to serve ads. "User Experience" has always been what kept me in my happy little Apple bubble. But the more Apple tries using "Privacy" as their unique marketing angle, the more I see other products improve by "exploiting" user data while Apple stuff hits some hard limitations. Did you actually read the article? It's about how Apple is exploiting user data, with their consent, while retaining privacy. Their ML blog is always interesting to read, and differential privacy is a good idea. Apples stance on privacy is one of the (many reasons) I am getting sick of Apple products. Thank you MacRumors! You have been publishing some excellent articles lately! That was a good read.